If you missed me on Studio 5 today, you can check out the video above. 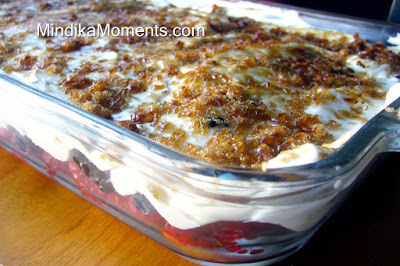 I demoed my Berry Cheesecake Puff Tart as well as this yummy Berry Gratin. My sweet friend and neighbor, Emily Nuttall, shared the recipe for the Gratin with me a couple weeks ago at our book club, and it's become a quick favorite. It's got the freshness of strawberry shortcake, the flavors of cheesecake and the crunchy top of creme brulee...what's not to love?? She was nice enough to give me her blessing in sharing it with you, as well as demoing it on Studio 5! You are all going to want to thank her when you try it!! 1. Wash berries. Slice or cut to desired size. 2. Place in the bottom of a 9x13 pan, or divide into individual ramekins. 3. In a large mixing bowl, beat the cream cheese, sour cream, sugar and vanilla until well combined. 4. 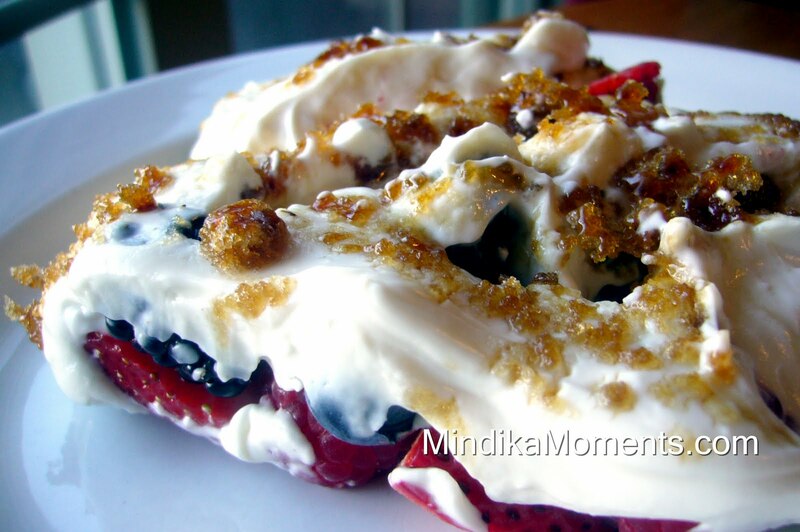 Top the berries with the cream cheese mixture. 5. Sprinkle the brown sugar on top of the cream cheese mixture. 6. Place under a broiler for 4-6 minutes or until the brown sugar starts to caramelize. Watch carefully so it doesn’t burn.